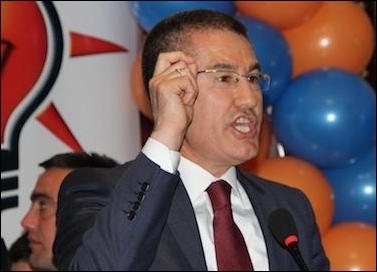 Turkish Minister of Defence Nurettin Canikli says "several U.S. and German companies" are implementing a "covered" [indirect] arms embargo on his country. ANKARA, Turkey — Turkey has officially accused the United States and Germany of imposing an arms embargo against the country. Turkish Defence Minister Nurettin Canikli has said that "several U.S. and German companies" were implementing a "covered" [indirect] arms embargo on Turkey. He said those U.S. and German producers were either halting shipments of spare parts of weapons systems to Turkey, or deliberately delaying them. A senior Turkish diplomat dealing with NATO matters confirmed that some Turkish requests for systems and subsystems have not been addressed by the U.S. and Germany. "These are systems we need in our fight against terror organizations," he said, without further elaborating. A European industry source said that British and French manufacturers could be looking to replace U.S. and German companies in the Turkish market. "Britain and France have a more pragmatic approach [toward Turkey] than the U.S. and Germany," the source said. "British and French companies may soon queue up to win Turkish contracts that the Ankara government finds difficult to procure from the U.S. and German companies." Ankara has been at odds with Washington over U.S. support for Syrian Kurds in their fight against the Islamic State group. Turkey views Syrian Kurds as a terrorist group while the U.S. considers them allies in fighting radical Islamic militants in Syria. Turkey's ties with Germany too have been badly stained this year after several rounds of allegations against Turkey over human rights violations. Germany advocates that the European Union should stop membership talks with Turkey.